The global demand for water has been increasing at a rate of about 1% per year over the past decades as a function of population growth, economic development and changing consumption patterns, among other factors, and it will continue to grow significantly over the foreseeable future. Industrial and domestic demand for water will increase much faster than agricultural demand, although agriculture will remain the largest user overall. The vast majority of the growth in demand for water will occur in countries with developing or emerging economies. At the same time, the global water cycle is intensifying due to climate change, with wetter regions generally becoming wetter and drier regions becoming even drier. Other global changes (e.g., urbanisation, de‐forestation, intensification of agriculture) add to these challenges. 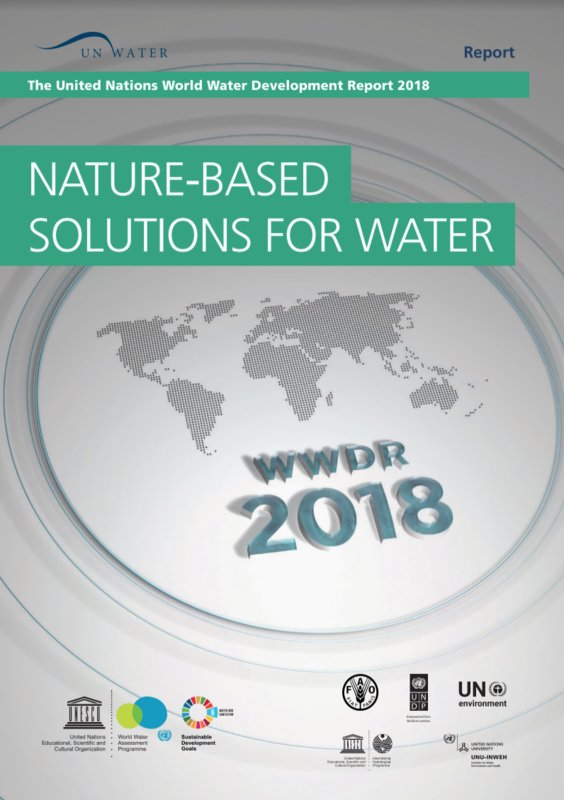 The United Nations World Water Development Report, Nature-based Solutions for Water, launched 19 March 2018 during the 8th World Water Forum, and in conjunction to the World Water Day, demonstrates how nature‐based solutions (NBS) offer a vital means of moving beyond business‐as‐usual to address many of the world’s water challenges while simultaneously delivering additional benefits vital to all aspects of sustainable development. NBS use or mimic natural processes to enhance water availability (e.g., soil moisture retention, groundwater recharge), improve water quality (e.g., natural and constructed wetlands, riparian buffer strips), and reduce risks associated with water‐related disasters and climate change (e.g., floodplain restoration, green roofs). Currently, water management remains heavily dominated by traditional, human‐built (i.e. ‘grey’) infrastructure and the enormous potential for NBS remains under‐utilized. NBS include green infrastructure that can substitute, augment or work in parallel with grey infrastructure in a cost‐effective manner. The goal is to find the most appropriate blend of green and grey investments to maximize benefits and system efficiency while minimizing costs and trade‐offs.